Under New Mexico Law (§50-13-1 to 50-13-4) and the Federal Personal Responsibility and Work Opportunity Reconciliation Act (PRWORA) of 1996, employers are required to report newly hired and re-hired employees to a state directory within 20 days of their hire date. New hire reporting is required by law in all 50 states, and has been mandatory in New Mexico since October, 1997. Pursuant to federal law, states have the option of imposing civil monetary penalties on employers who fail to report new hires. The fine can be up to $20 per newly hired employee, and if there is a conspiracy between the employer and employee not to report, the penalty can be up to $500 per newly hired employee. 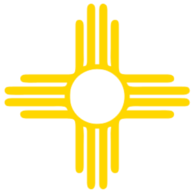 The State of New Mexico works with employers to help ensure that all new hires are reported as required. The Federal Office of Child Support Enforcement (OCSE) provides states a quarterly report containing information on employers who may not have reported all new hires as required. Using the (OCSE) quarterly report, our Directory may mail notices to employers who appear to be non-compliant in reporting their new hires. Aside from providing information on legal requirements, the notice also provides information on how to comply with new hire reporting laws, so employers may avoid future notices and potential penalties. The New Mexico Directory of New Hires also monitors regular new hire reports coming into the office, and attempts to contact employers who appear to have lapsed or who have irregular new hire reporting histories. If you have received a notice from the Directory which referenced a lack of compliance, or if you have additional questions about complying with the new hire reporting law, contact us.